Biographer Nick Jennings has had unprecedented access to the notoriously reticent musician. From the tender ballad of Beautiful to the historical lament of The Wreck of the Edmund Fitzgerald to the plaintive political plea of Black Day in July, Gordon Lightfoot's songs have inspired and enchanted fans for more than 50 years. Beloved by a devoted Canadian audience, Lightfoot's work has been performed and admired by musicians from around the world, including Joni Mitchell, Nico, Ronnie Hawkins and Robbie Robertson. Nobel Prize winner Bob Dylan once listed Sundown and If You Could Read My Mind among his favourite Lightfoot songs, before adding, "I can't think of any I don't like." 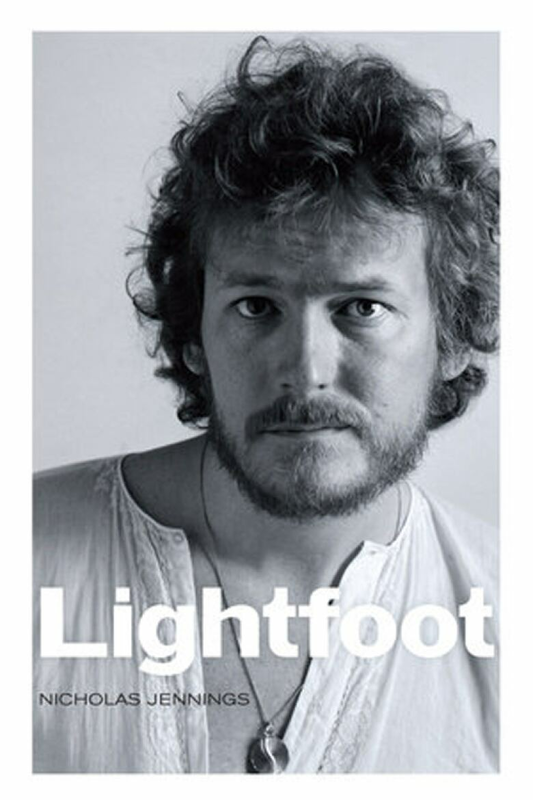 In addition to winning nearly every Canadian music award, in 2012, Lightfoot was inducted into the American Songwriters Hall of Fame alongside such luminaries as Leonard Cohen, Kris Kristoffersen and Dylan; it honoured Lightfoot as a singer who helped "define the folk-pop sound of the 1960s and '70s." Biographer Nick Jennings has had unprecedented access to the notoriously reticent musician. He chronicles Lightfoot's early efforts — his school principal recorded a disc of "Gordie" singing at age nine — to his beginnings as a songwriter to his heyday in concert halls around the globe. Possessed of a strong work ethic and a perfectionist bent, Lightfoot brought discipline to his craft and performances. But he partied just as hard in that rock 'n' roll era, and alcoholism began to take its toll. Lightfoot toured relentlessly and his personal life suffered as marriages and relationships unravelled. At 63, he suffered an aortic aneurysm that nearly killed him and kept him in a coma for six weeks. But his amazing stamina helped him survive and miraculously saw him on stage once again, resuming his touring and yearly sold-out show at Massey Hall.